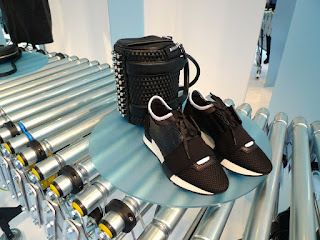 Focusing on their edit from their AW15 multi-brand luxury accessories, Joseph have launched a corker of a scheme which challenges the juxtaposition between Luxury and Mass production markets and highlights how luxury goods often cant be produced in an assembly line format. 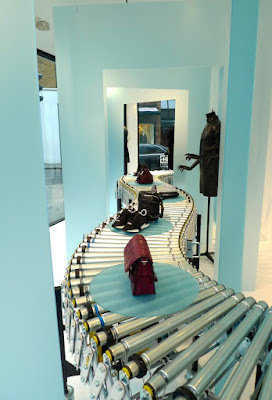 Joseph's concept consists of motorised rolling conveyor belt to showcase their latest collection. What a winner of a scheme from this delicious brand.